it whispers in my mind. 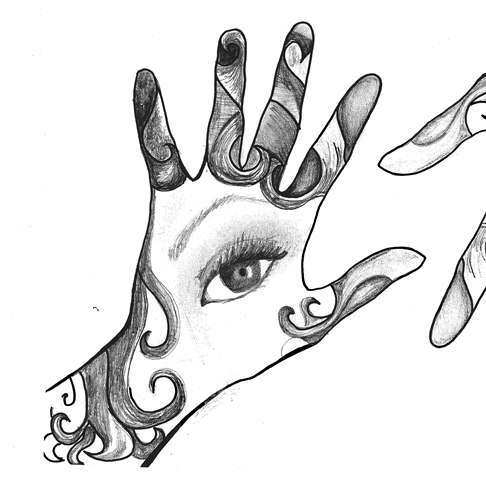 you’ll see it in my eyes. Here are the top five influences on the imaginary play of my childhood. I draw from these for inspiration today. • Doctor Who (Tom Baker) – It wasn’t just the coat, the fedora and oh-my-god the best scarf ever, it was the promise of adventure and spontaneity. 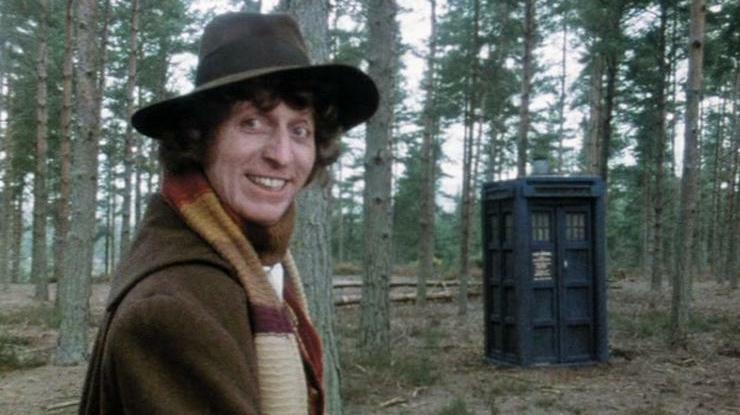 I remember playing in the expanse of woods that was my back yard and hoping that I would come across the TARDIS. It was one of my greatest childhood wishes to join the Doctor on an adventure or two. • Star Trek (Original Series) – Oh yeah, Kirk had his charms, but it was Spock that I admired (I even had a bit of a crush). He helped make it okay to be intellectual and different. • Twilight Zone (80’s reboot) – There were so many episodes that affected me on an emotional level, they should have a list of their own. • Fairy Tales (Cinderella, Sleeping Beauty, Aladdin) – For me, these stories were about discovering I was more than what showed on the surface, and the potential to move past it into who I could become. • Romancing the Stone (1984) – What I loved (and still love) about this film is that our heroine lived in her fantasy world, then she has a real adventure and became a real version of the heroine she wrote in her novels. Copyright information on the posted image is found here. I have been fascinated with butterflies for the past two decades or so. They’re graceful, colorful and mysterious. Butterflies symbolize transformation in many religious and spiritual doctrines as well as dream interpretation. Just as I started walking down the path of metaphysical spirituality, I stumbled upon this quote. It truly spoke to my mystical side and my desire to understand what reality is, how we perceive it, and how we change it with every thought we think. I’m not sure if this quote made me more obsessed with butterflies or simply solidified my love of them. But it certainly impacted me enough to want “My Dreaming Butterfly” for my business name. I’m so glad it was available as the URL for this website. All my best fellow dreamers! So…here I am, writing my very first blog post, ever. How did this madness happen? I am possibly the worst Facebook friend you could be friends with. I gather friends in binges and rarely post anything apart from the occasional holiday wish and thanking all the real Facebook friends out there who wish me a happy birthday. Except for a half-assed attempt at a MySpace page (back when it was cool, mind you) I have had no online presence. No Twitter, No Foursquare. No Pinterest. Nada. Zilch. Zippo. So, what the heck am I’m doing here? Well, this is certainly not a new idea for me. I bought a domain name from Register.com in 2009. And, in 2011 I registered a shop on Etsy.com. But, if you went looking for me four or five years ago, a blank webpage would have been all you’d find. Because, I did absolutely nothing, naught, diddly-squat. My usual retort is that I’m a big chicken. But really, it’s been about my self-worth. I battled with myself over what I could possibly contribute to the world that hasn’t already been done better than I could ever hope to do. I worried that anything I posted would either be horribly mundane or incredibly personal. And, who would read it anyway? Who was I to think I had anything of value to offer? The craziest part is that I’m the cheerleader for anyone else wanting to put themselves and their stuff out there. I tell them everything we create – be it music, art, film, crafts, writing, gardening, thoughts, ideas, advice, natterings, whatever – there is someone out there with whom it will connect. There are ears that want to hear the music, eyes that want to see the art, brains that want new thoughts, ideas and stories. Even if you think you’re not creative, there are people going through whatever it is that you’re gong through and they need to know that they’re not alone. Great advice, right? But did I follow it myself. Uh, nope. So, again you ask, why? Why now? Greg is the cheerleader for me that I’ve been with everyone else. He gently peeled away all my flimsy excuses and held me accountable for taking action. Without him, this website would probably still be an idea, a wish for someday, a resolution on a to-do list carried forward for another year. And now, here I am, publishing my very first blog post. It’s not so scary after all.